I was a young woman when in June of 1991 “was transported through the stones”…Now I’m an old lady…. Please, just let me live long enough to see my dream movie/series become reality. I used to worry about who would play Jamie, now I’m just so estactic I don’t care – just want the new book to come out on my birthday and the series about the same time – WHAT a birthday present that would be! Take your vitamins and hang in there! Congratulations Diana! Wonderful news. You must be so proud and happy. I guess I’ll have to switch out my HBO subscription to Starz! I’ll do anything to get my Jamie and Claire fix. Eeek, so excited. Started reading the books at 13, and now at 30 still think of them or the characters or… when the next book will come out, so I can read all the books from the beginning again… at least a couple times per week. Starz… thumbs down on Pillars. Thumbs up on Spartacus. Thumbs up on Strike Back. So… they need to get better at the love aspect of stories, huh. Seriously. All good things. Super stoked, but mostly for the next book! Oh, and several people have posted about Dish… this isn’t a Dish exclusive, is it? If I have Starz on DirecTV, I’ll be able to see it? No, it has nothing to do with Dish. 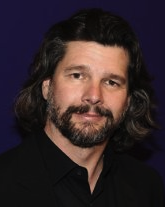 When I saw the picture of of Ron Moore, I thought it was the casting for Jamie, of course with a new hair color coming soon. And I thought Yum, this is going to be good :o) Hopefully they will choose the actors well. Lady Diana is right, this does take one’s mind off the election. How exciting! Just took a three week trip to Scotland (the Motherland) in May and June of this year. At the gates of Culloden field, a woman approached me and said..”you look like somone who has read the Outlander series”. To this I replied, “I sure have”. “Well”, she said, “there is someone here I would like you to meet…this is Jamie Fraser…”…I must have looked very strange to her then as a Jamie Fraser in full tartan with a Fraser pin (je suis pret) shook my hand. I had to have a picture of that! This was quite serendipitus (sp?) considering how somber we were feeling as we headed out on Culloden field. Thought you would get a kick of that! Keep it coming, we love it. How odd! Where is the picture? I do have a picture, is there somewhere to send it? I have to go through a few hundred to find it so it might take me a day or two but I would be happy to do so. Am re-reading An Echo now , just can’t do without this work and can’t wait for the next one. Any chance that photo can be posted? If there is any way that the picture of Jamie Fraser can be shared we would like to see it. I would have been speechless when introduced to Jamie. Hi I have not been able to insert or upload a pic here. This Jamie was quite a bit younger than the real deal but it was still a unique experience! I’m sure it was an unique experience & I’m glad that you got to experience it. That’s ok about the picture. Thank you for trying. Thank you, Kathleen. P.S. The hunk in the picture–not a bad rep of Jamie, is he the writer or the actor who will portray Jamie? Thanks Suzanne, he’s still a hunk (lol). I have to say I am extremely excited by this news and a bit worried……..I have read all 7 books numerous times….and will reread them again before book 8 comes out…..and I have a certain picture in my head of each character, setting, voice and feeling…..the thought of someone putting their ideas of those things on film feels weird to me, what if its not what I pictured or felt? will it change how I feel about these books? God I hope not! what would I do with Jamie, Claire and the rest……. that being said, no one anywhere will be able to stop me from watching this show, probably over and over and over again!! I am beyond excited to be able to live this story visually rather than just in my head…. I see many girls nights with large bottles of wine in my future! I can hardly wait to for the first series to start. Hopefully they will give us some tidbits along the way. I may have to add a channel to my dish network though. I will just have to read the books again. This is great news. I am up here in Ottawa, Canada so I am hoping that by the time the series is made this channel will be available here. Or, if not, there will be the DVD. My good news is that A Trail of Fire arrived a week earlier than was expected and I spent a nice weekend immersed in your lovely writing. You are a great story teller. Many can write, few can tell a story. You are truly gifted. For those who are debating the price of UK postal costs, I have posted a review at Goodreads. Beyond excited. They must pick Jamie very carefully. Starz will surely profit from this venture, true Outlander fans will not want to miss the series. Wonderful news! I realize it may not work for a younger Jamie but since the beginning I have envisioned Jamie as Kevin McKidd (he had me when he did Rome and Percy Jackson). I must ave missed something. When will the series on STARZ begin? Can it be filmed in Scotland? Actor for Jamie must have a solid Scots’ face. The illustrator for The Exile, Hoang Nguyen, had Asian faces on the tips of his fingers. Use a photo of late author, Nigel Tranter, to compare. Also, don’t make mistakes like makers of Rob Roy and William Wallace. Huge William Wallace was played by relatively short Mel Gibson; Relatively short Rob Roy was played by huge Liam Neeson. Roy is an Anglicised word for ‘red’ and Rob MacGregor had red hair. No excuse for not having actor with red hair – it could have been dyed or actor wear a wig. Authenticity is in the detail!! So glad it’s a series and not a movie, that way we get way more details from the books integrated. Carnavale! I loved it! Carnivale was not really sci fi. Like Outlander, it didn’t really fit into any one category. Ron Moore had a big hand in creating that show. I have a feeling that he will do a terrific job with Outlander. Cable channels have been doing wonderful things with book series lately. Sookie Stackhouse series was made so much better with True Blood. Dexter was made better too. I haven’t read or watched Game of Thrones but I hear great things. 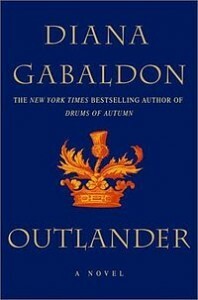 It is not possible to make Oulander better, but I think that the series will be intelligent and beautiful. Don’t expect the series to be the same as the books though. Different interpretations, creativity choices and necessary changes for time will effect the end product . Think of the series as an alternate reality. There will be similarities but many differences too. What great news! Thank you Ms. Gabaldon for your books and this blog too. I don’t know how you keep up with everything but I appreciate everything that you do. You go above and beyond time and time again. Dear Diana, I’ve been thinking of writing you for about a year, when I finished re-reading all the Outlander books to date (and most of the Lord John books), but I imagine it is too late now. After the last book, I had a strong feeling that you brought Jamie back to life too quickly. Of course, he had to return, especially for his son to meet him, and also because there was too much grief in Claire and John. It would be a big shift for the series, but actually, I’ve been more and more interested in Lord John, and I thought the “pillow talk” between him and Claire was fascinating. I’d like to see more of them together, and after all, they did marry. Their relationship could not, of course, be as sexually satisfying as it was for Claire and Jamie, but as I get older, I realize that genuine friendship can be grounded in something quite else, and the friendship of Claire and John is fascinating. Anyway, I’ve had the sense that you too have been increasingly interested in Lord John, and that perhaps the magic of Jamie and Claire had run its course creatively, but that new juice might be invigorated by a shift of that sort. As I say, I’m sure I’m too late,since the new book will soon be out, but for whatever it’s worth, here’s a devoted reader’s reflections. I just started reading your books a couple of weeks ago. I should’ve read them a long time ago, but I was getting a graduate degree in Eng. Lit and the snobbish, all consuming world of academia leaves very little time for pleasure reading. If I ever mentioned science fiction or any genre fiction I enjoyed, my profs and classmates looked at me as I had committed some great sin. I am a Mexican-American Anglophile raised in the Southwest, so discovering you and your work has inspired me tremendously. I have had to defend my love of British literature, film, tv, and music so many times! As a longtime “Doctor Who” fan, I wondered if you had ever seen the series and were inspired, even in a minor way, by my favorite Doctor companion, Jamie McCrimmon. When I found your Wikipedia page, I was delighted to see that “War Games” did inspire the setting of the series and the character name was an homage to the kilt that started you on this literary journey. I have always wanted to see the episode titled “The Highlanders” which introduces Jamie as a character on “Doctor Who” (and takes place during the Battle of Culloden), but the BBC shamelessly wiped over their original tapes of the episode in the 60s. I cannot wait to read the rest of your work and look forward to the television series. As a fan of “Battlestar Galactica” and the webseries “Blood and Chrome,” I think Ron Moore is a great choice to lead the series and if he could get Kevin Mc Kidd of “Rome” fame a shot at the lead male role, I think many female fans would be eternally grateful.